On May 24, 2018, the USPTO issued "Examination Guidance for Compliance with Section 2(a)’s Scandalousness Provision While Constitutionality Remains in Question during Period to Petition for Certiorari to U.S. Supreme Court" (pdf here). 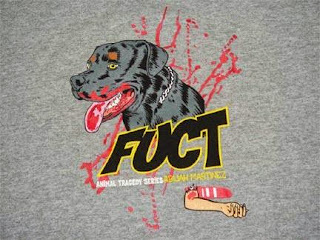 In short, applications that receive a "scandalous or immoral" refusal under Section 2(a) will be (or will remain) suspended pending the final outcome of the "FUCT" case, In re Brunetti. You will recall that the CAFC reversed the Board's decision in Brunetti, which had found the mark FUCT to be unregistrable under Section 2(a). [TTABlogged here]. The CAFC denied re-hearing on April 12, 2018. The current deadline for the USPTO to file a petition for a writ of certiorari is July 11, 2018. Any current or future suspension of an application based on the scandalousness provision of Section 2(a) will remain in place until either: (a) the time for filing a petition for certiorari in Brunetti (including any extensions granted) expires, with no petition being filed; or (b) if a petition for certiorari is filed, the later of (1) denial of certiorari or (2) termination of U.S. Supreme Court proceedings in the case. Thereafter, the USPTO will determine whether additional suspension or procedural guidance is needed. If not, examining attorneys will take appropriate action in each case and proceed accordingly. 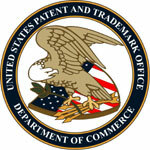 TTABlog comment: Will the USPTO petition? I doubt it.